The Hearts of the Community is offered to individuals and organizations that have served Sacred Heart Academy and the greater community. Recipients exemplify the spirit of community, compassion, and commitment. Awards are presented during a Mass of Celebration during the First Friday Liturgy in February. Sacred Heart Academy enthusiastically presents the Hearts of the Community Award to Carole A. Stackpole ’67 for her compass on, commitment to community, and contributions to the Academy. "Carole is a faithful woman who has selflessly used her abilities and gifts to impact the lives of hundreds of students, serve her God, her Church, her community, and her alma mater in countless ways while embodying the spirit of generosity and goodwill…we feel privileged to acknowledge her,” offered President Sr. Sheila O’Neill, ASCJ, Ph.D., ’71. From the time Carole was a young girl growing up in Wallingford as the oldest of five children, she knew that she wanted to be a teacher. “My parents believed in Catholic education,” she says, “so two of my sisters and I graduated from Sacred Heart, one went to Mercy, and my brother went to Xavier.” Carole, in turn, has spent her entire teaching career in Catholic schools at all grade levels and in different parts of the country. “I believe that Catholic education is the hope of the future of the world. Teachers in Catholic schools teach with respect, love, mercy, and concern,” shares Carole. From 1999 to 2018, we were fortunate to have Carole as a member of the faculty. After earning a bachelor’s degree in mathematics from Duquesne University, Carole spent twelve years at our sister school, Cor Jesu Academy. There, she taught religion and math, served as chair of the Math Department and financial administrator, moderated the Athletic Association, and managed the bookstore. She went on to Sacred Heart School in the Bronx where she was financial administrator and taught middle school math. During that time, she earned a master's degree in special education at the University of Missouri. She also taught at Clelian Heights School for Exceptional Children in Greensburg, Pennsylvania, returned to Sacred Heart in the Bronx as the school's principal, then worked as math curriculum coordinator for the Office of Catholic Schools in Hartford before joining our Mathematics Department. 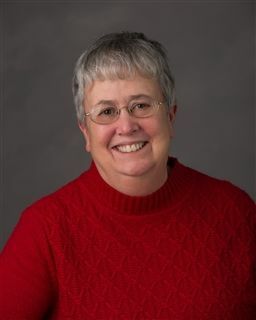 During her two decades at Sacred Heart Academy, Carole taught all levels of math, served as department chair, produced the annual musical, ran the bookstore, and acted as freshman moderator. Her most enduring legacy is the personal finance course that she instituted in 2003. “I started out with ten students,” she says. “By the time I retired, I had four sections with twenty or more in each.” The course covered budgeting, banking, insurance, retirement planning, taxes, identity theft, credit reports, investments, and car and home purchasing. Outside the classroom, Carole has been dedicated to helping others. She is a Eucharistic minister in her parish, brings communion to homebound parishioners, serves on the school board, and tutors students in math. She volunteers at Master's Manna, a faith-based not-for-profit that serves homeless, near homeless, and low- to-moderate income families and individuals. As a “friendly volunteer” at Masonicare, she provides companionship and conversation to residents. Carole’s personal interests include involvement in the lives of her nieces and nephews, knitting, reading, and following UConn women's basketball. “I’m a big fan,” she says. Wesley D. Bonds, Jr., Ph.D.
Lawrence J. De Nardis, Ph.D. The Most Reverend Peter A. Rosazza, D.D.